Sophie joined THB in 2015 and is a Solicitor Advocate specialising in Crime and Mental Health. Sophie studied Law at Kingston University London and completed the Legal Practice Course at College of Law Bristol in 2012. During her studies, Sophie undertook a number of work placements in both Criminal and Commercial focused law firms and upon finishing her studies, she obtained employment as a paralegal at a firm in Cardiff specialising in high value Fraud and Proceeds of Crime matters. Sophie joined us as a Trainee Solicitor and since being with the firm, she has obtained Police Station Accreditation and Duty Solicitor Status. She has also achieved her Higher Rights of Audience in the Criminal Courts enabling her to appear and represent clients in the Crown Court. 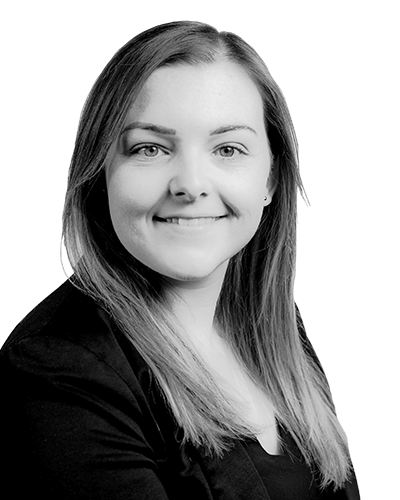 Sophie often represents clients at the Youth Court and Magistrates Court who are charged with all types of criminal offences including serious offences. In addition, Sophie continues to work in the Mental Health department and is an accredited member of the Law Society Mental Health Panel. Sophie regularly represents patients, both adults and children, detained under both civil and criminal sections of the Mental Health Act at the First Tier Tribunal, covering Essex, Suffolk and Norfolk. Outside of work, Sophie spends time exercising her 4 year old Labrador and enjoys travelling.